The H.Upmann Petit Corona is a delicious mild Mareva, with plenty of flavors, 5" (129mm) long, of 42 ring gauge, and comes in a 25 cigars box. It is for sure one of the best Mareva out from Cuba, and definitely one of the strongest, along with the Montecristo No. 4. The aromas of this Petit Coronas are somewhat close to the Upmann No. 4, which is exactly the same format, but they may vary on the batch. It has a nice Colorado wrapper and a deep flavor of wood. The construction of this H. Upmann Petit Coronas is amazingly impeccable. It has a nice slow and even burn that will stay lit for a long time even when put down. • Delicious earth, cocoa and cedar aromas and flavors. • Round and medium full on the palate. The perfect cigar for a smoker which wants to avoid the full strength of a large cigar and yet is looking for lots of flavor. This cigar has a light brown wrapper kind of like chocolate milk and a slightly squared box-pressed shape. The wrapper is rustic looking. It has that Cuban barnyard smell mixed in with a little cedar. The draw is perfect, it burns straight, the ash holds well, and it does not burn hot or swell at any point. 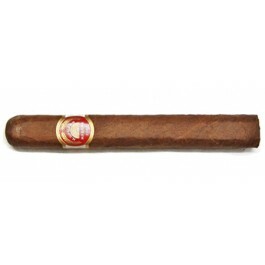 This cigar was smooth upon lighting with flavors of earthiness and subtle spiciness. You begin to detect caramel flavors in the smoke, which intensifies until the last third. The complexity of flavors in this petit corona was impressive and the taste remained consistent throughout the smoke. In summary, it does a nice job of packing big cigar flavor in a small package.